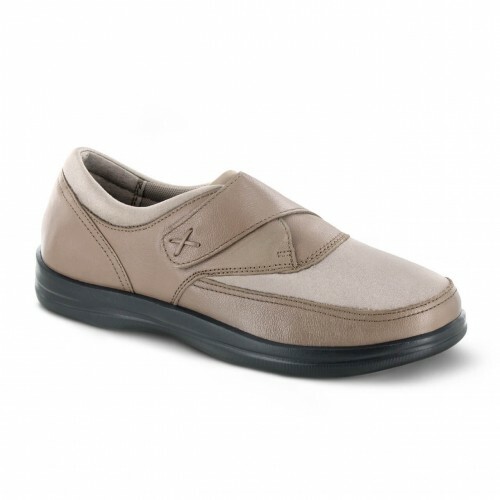 Therapeutic benefits and shoes with more give are the ideal choice for diabetic feet. 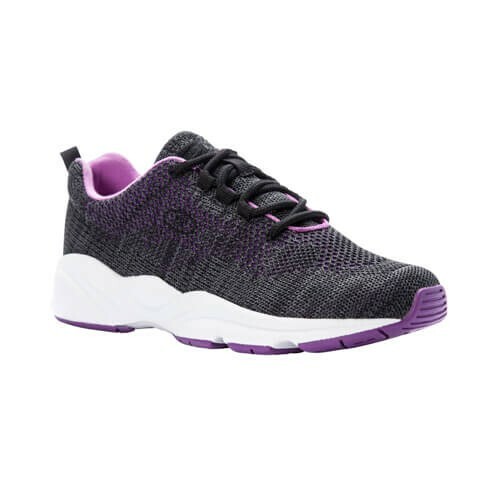 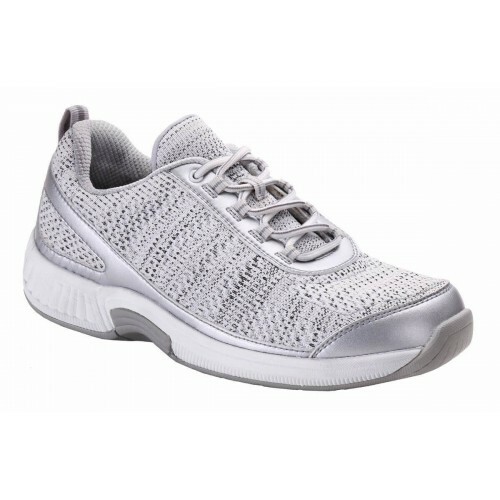 Our selection of women's diabetic shoes provide deeper depths and wider lasts to accommodate foot problems caused by diabetes. 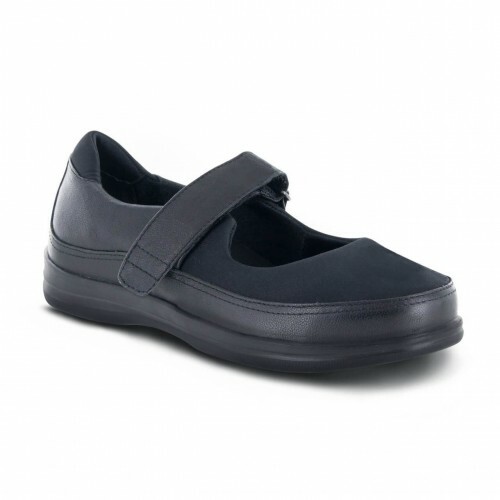 If you are experiencing swelling (edema) or neuropathy, we have a solution for you. 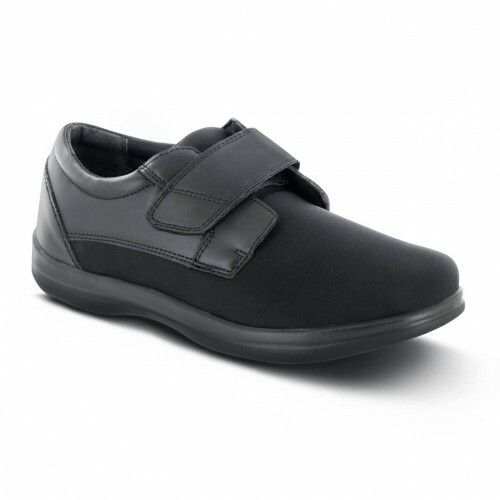 Choose from our selection of dress, active, sandals or boots designed to help with diabetic feet. 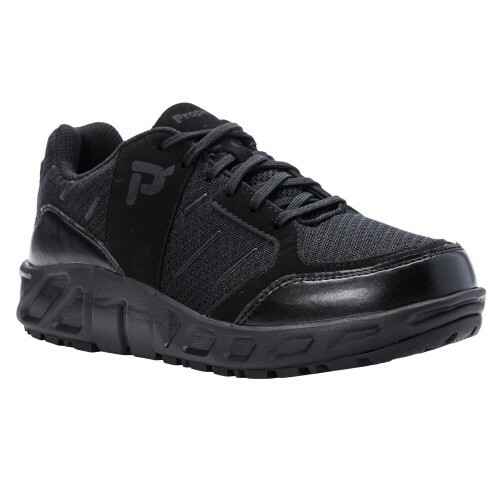 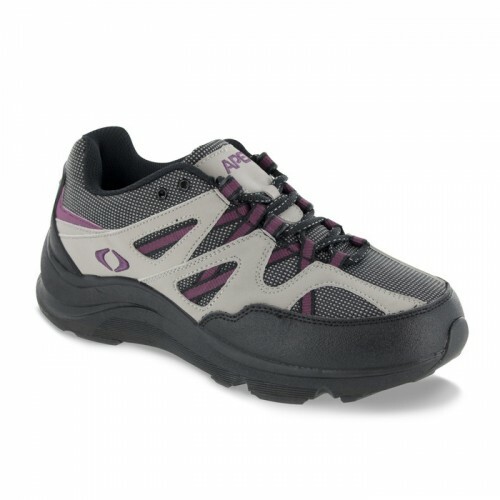 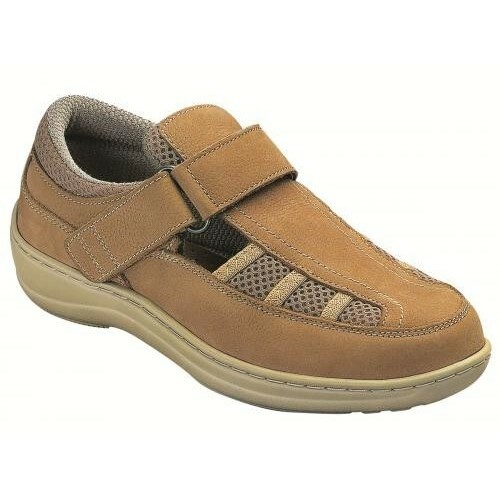 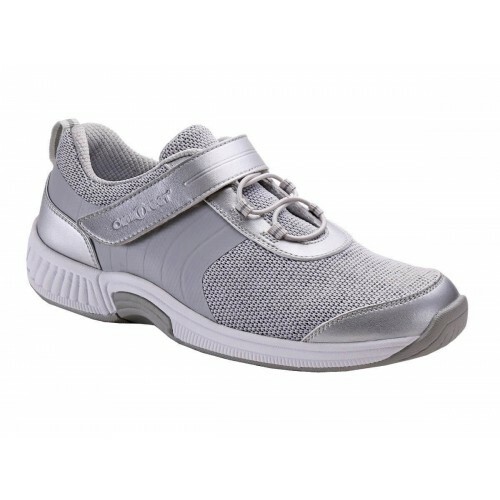 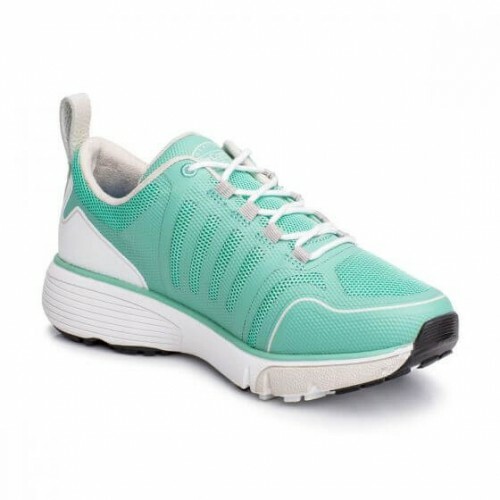 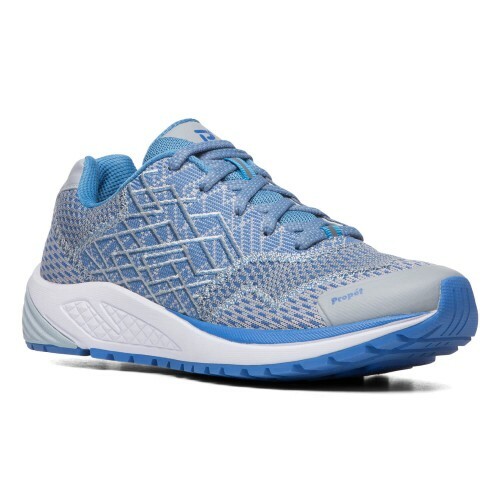 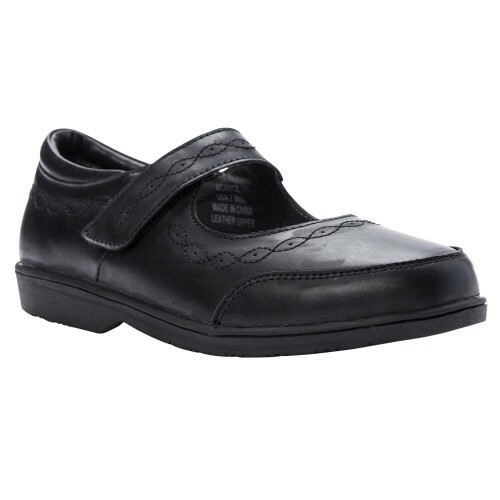 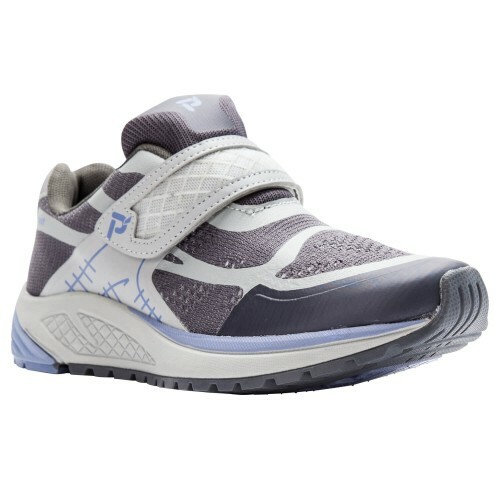 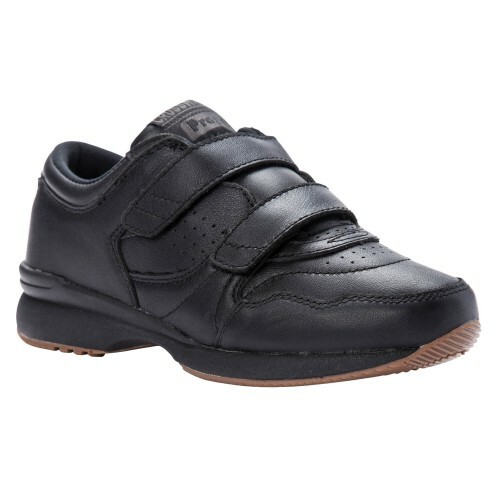 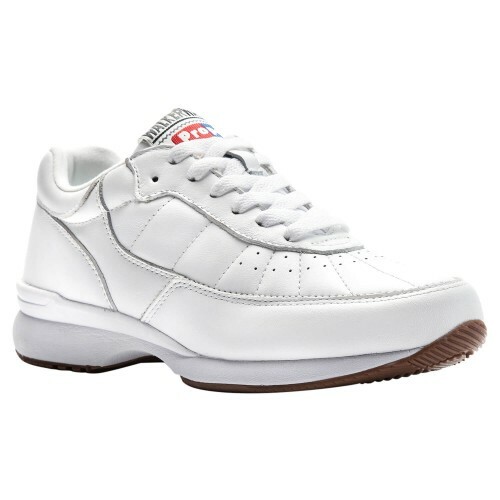 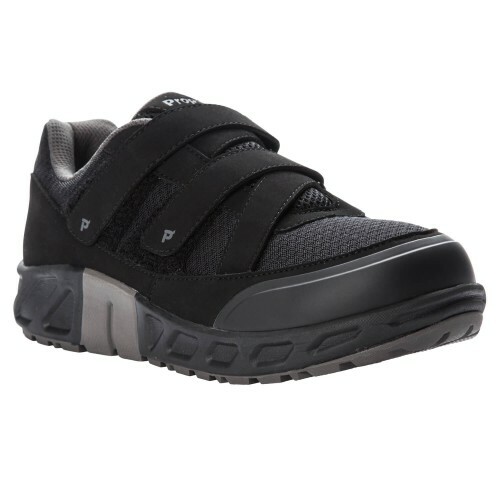 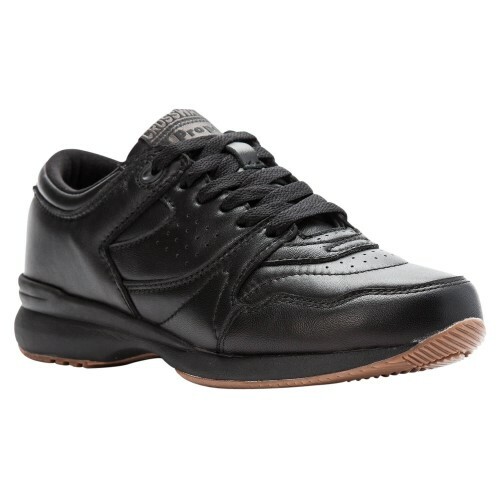 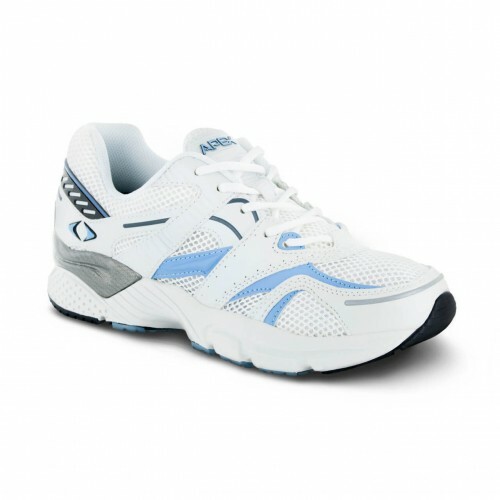 Women's Diabetic Shoes There are 109 products. Drew Kool boots combine the softness of Drew's most popular comfort shoes with long-lasting, all-purpose durable leathers. 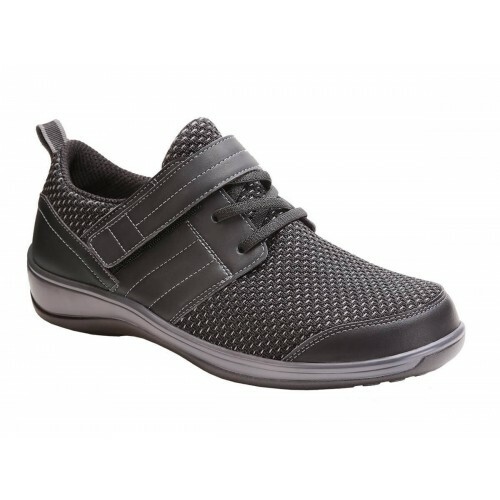 On the inside, these orthotic boots contain one of the best, supportive insoles in the world, while on the outside, they have the durability to fit an active lifestyle. 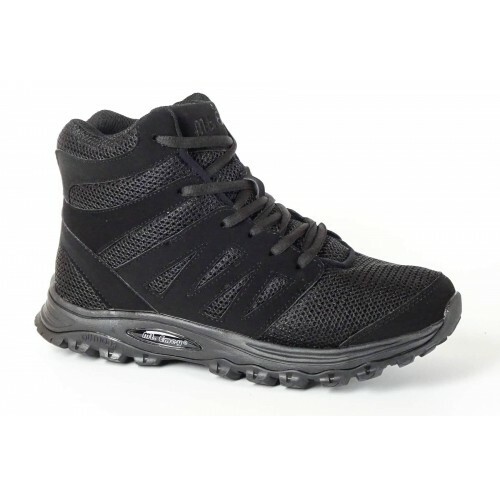 The Propet Piccolo Hiking Boot features mesh and nubuck uppers. 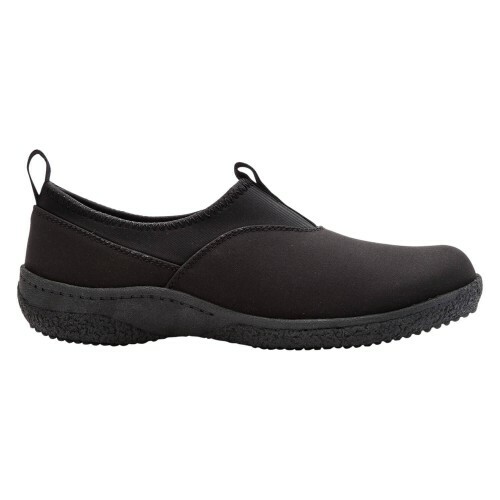 This style is Scotchgard treated and waterproof. 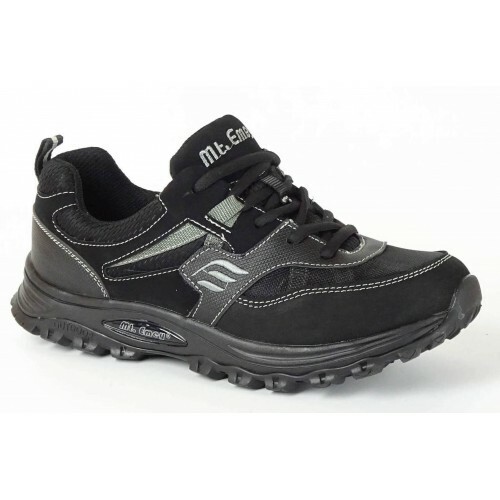 The EVA midsole is made with high traction rubber. 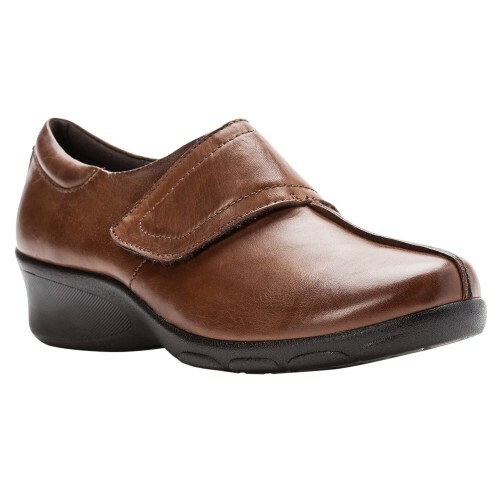 Additionally, this style comes in many different width options: Medium, Wide, and X Wide. 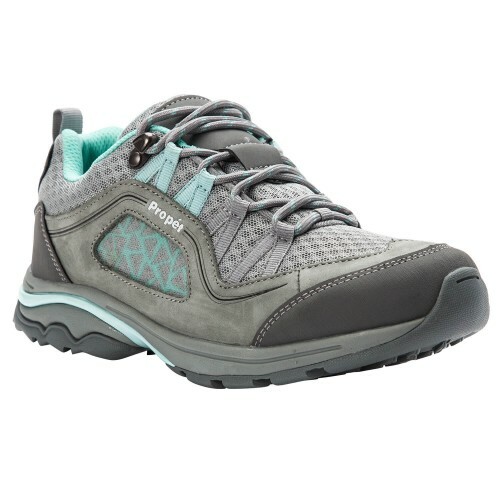 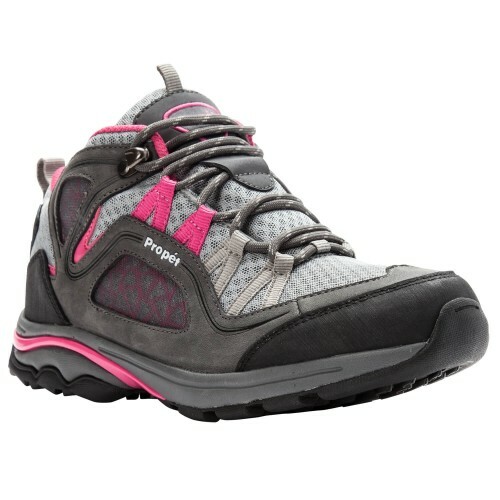 The Propet Peak Hiking Boot features mesh and nubuck uppers. 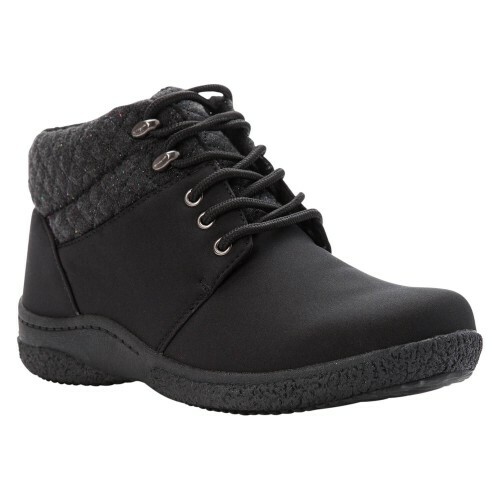 This style is Scotchgard treated and waterproof. 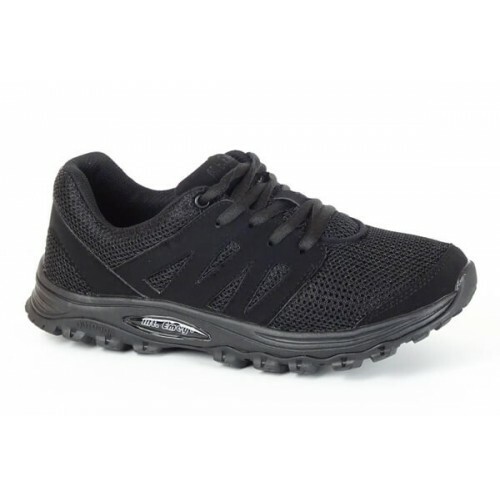 The EVA midsole is made with high traction rubber. 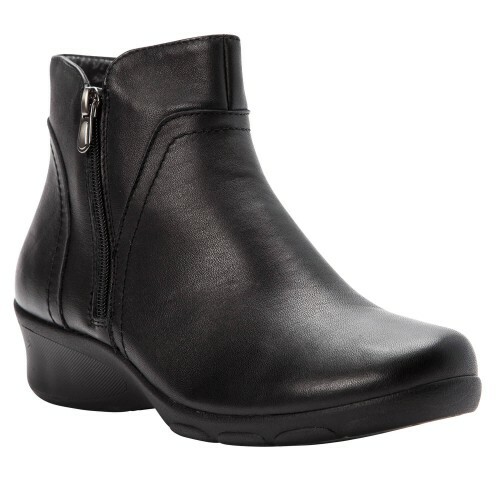 Additionally, this style comes in many different width options: Medium, Wide, and X Wide. 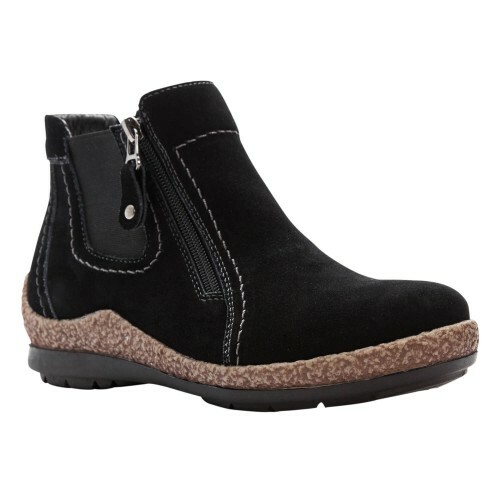 The Tatum Lace Bootie features full grain leather uppers and nice detailed stitching. 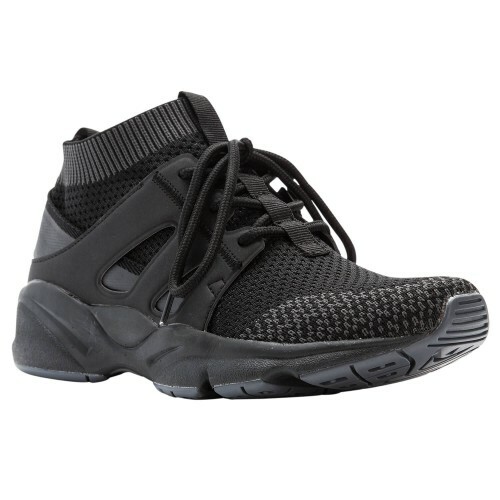 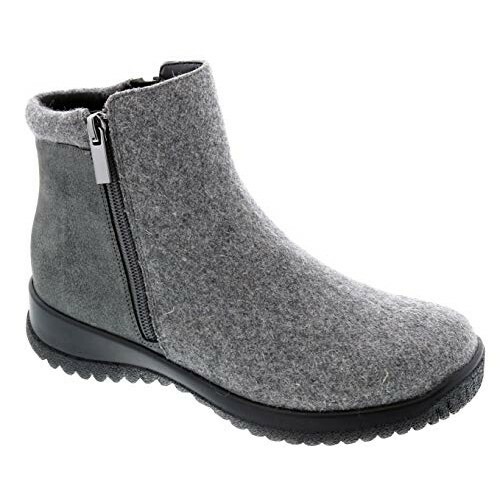 The insole is made of cushioning rubber with mesh lining which add to the functionality of the bootie. 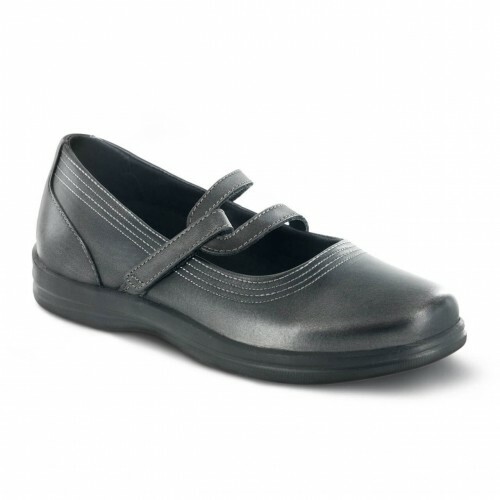 Additionally, this style comes in many different width options: Medium, Wide, and X Wide. 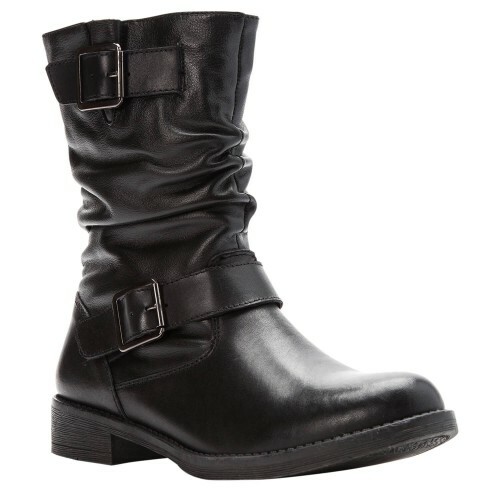 A modern, sleek design with a unique strap and buckle adornment and a cute slouching look on the full grain leather uppers. 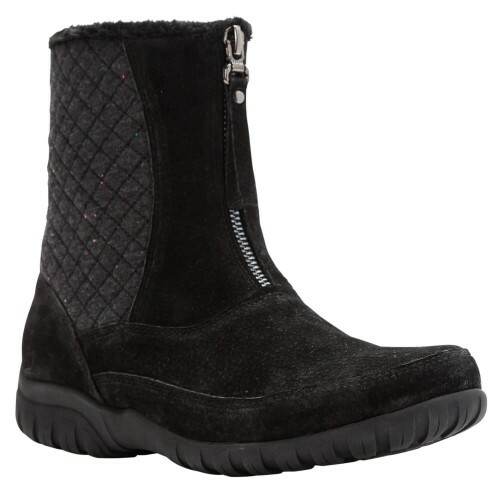 The zipper on the inside of the boot allows for easy entry. 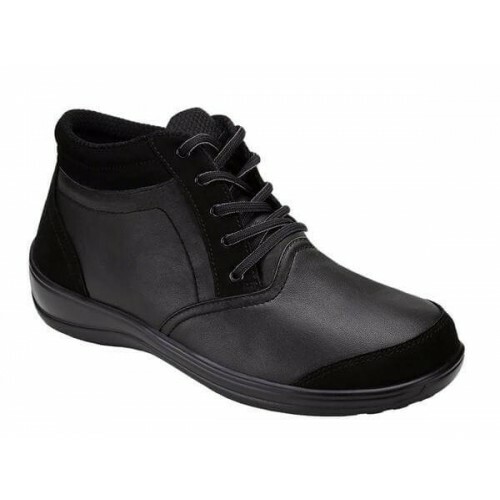 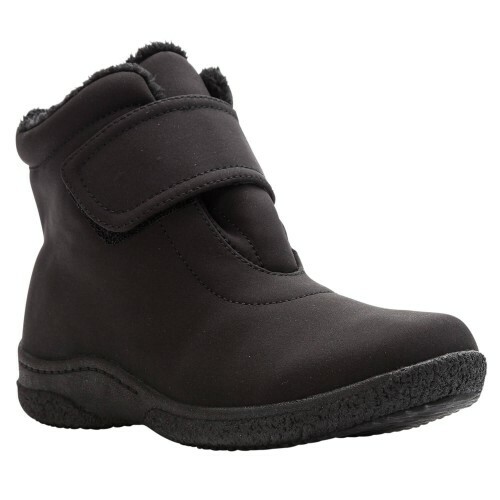 Inside the boot has a latex-cushioned insole and Nylex lining for additional support and comfort. 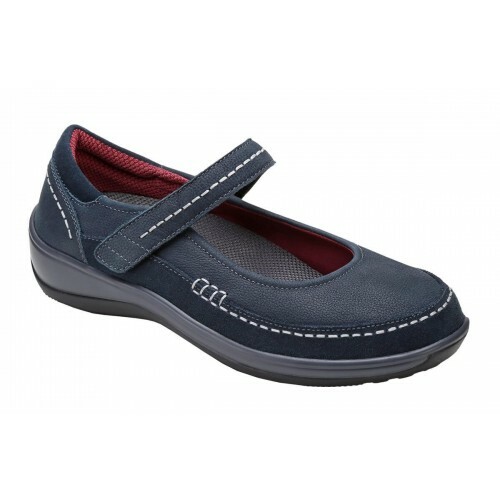 The Doretta shoe features quality suede uppers and nice detailed stitching. 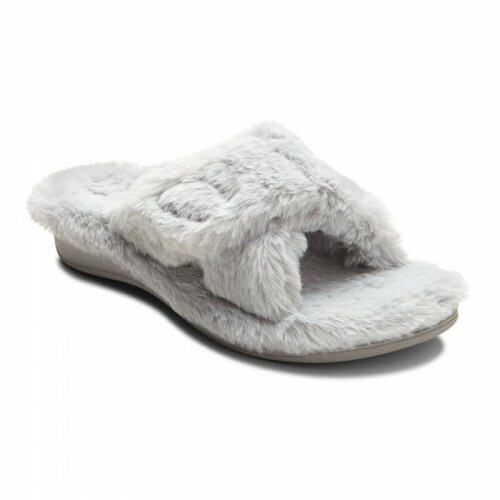 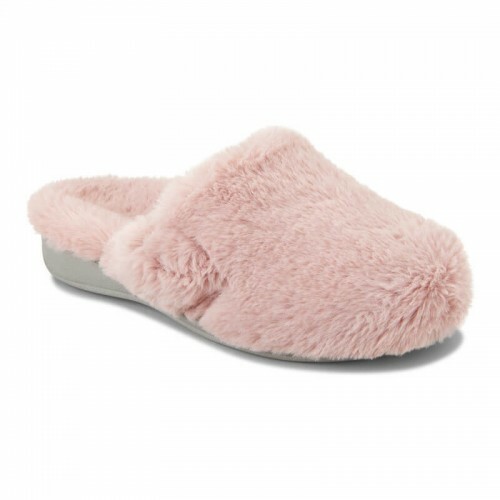 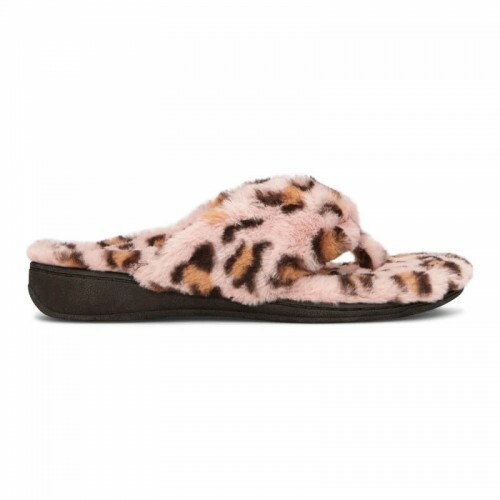 The insole is made of a faux fur lining which add to the warmth and functionality of the shoe, while the size zipper allows for easy entry into the shoe. 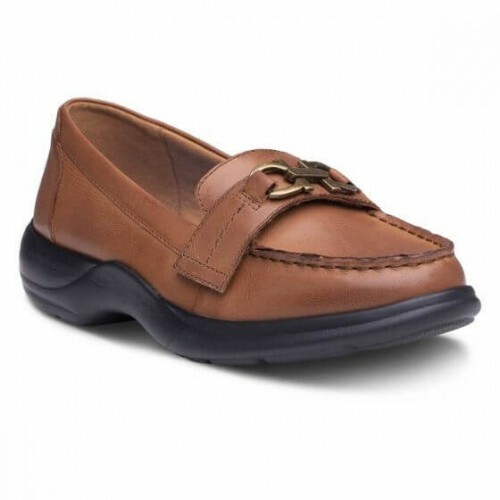 Additionally, this style comes in many different width options: Medium, Wide, and X Wide. 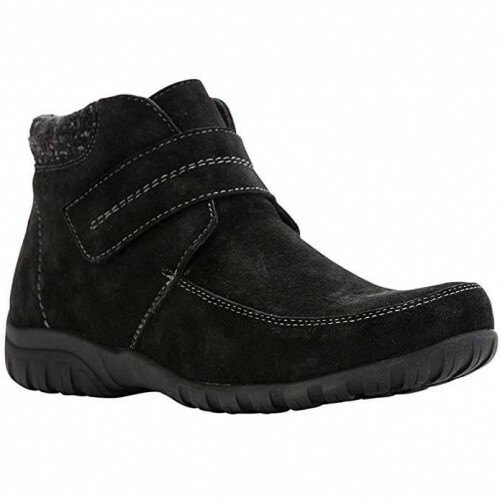 Available in either Navy, Brown, or Black suede uppers, the Delaney Strap is a comfort boot for all. 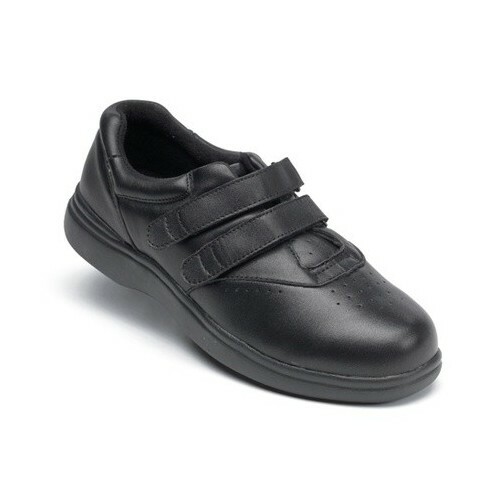 Its hook and loop strap closure system is easy for all to use. 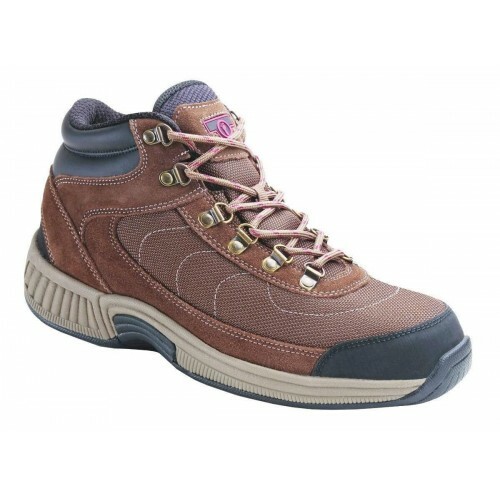 The boot also features a Nylex lining to allow for year-round wear. 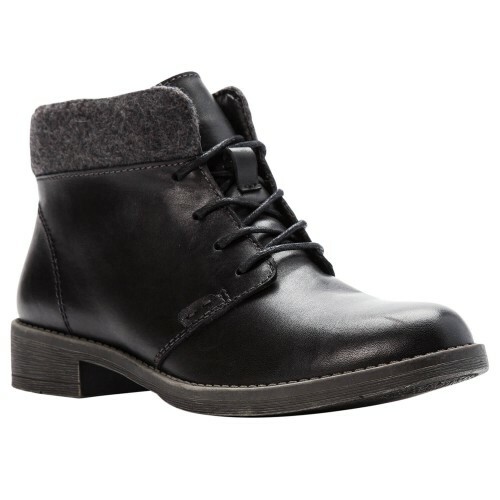 Choose from a variety of colors to fit your style and outfits this fall.